Mark Wetmore told Reuters minor surgery had taken place on both sides of Gay's groin in Philadelphia Friday. "The doctor (William Meyers) was really, really happy with the surgery and Tyson should start walking today," Wetmore said. He said the American sprinter should be able to start light training in December after a month's rehabilitation and be fully recovered in time for next year's outdoor season. 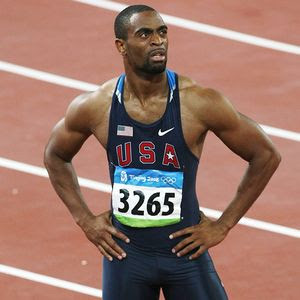 The American finished second to Jamaican Usain Bolt's 100 meters world record 9.58 seconds at the world championships in Berlin in August but did not attempt to defend his 2007 world 200 title because of pain from the groin. Wetmore said negotiations for Gay's participation in the new Diamond League circuit next year were continuing. "The idea is to have both run seven (Diamond League) meets, possibly even eight with a couple of a match-ups between the two throughout the year," Wetmore said. "And to put those match-ups on the calendar early. "The plan is to have that done by the IAAF Gala (on November 22 in Monaco)," said Wetmore, who is also the organizer for the Diamond League's New York meeting.